MACH has the award-winning Clayton in its genes, boasting the same startling trio of benefits: maximum cushion and super responsiveness in a surprisingly lightweight package. MACH takes lightweight performance to a new height with a dual density PROFLY™ midsole and full RMAT® outsole. PROFLY™ provides a forgiving landing and responsive toe off, while that RMAT® outsole offers additional responsiveness, as well as durability. 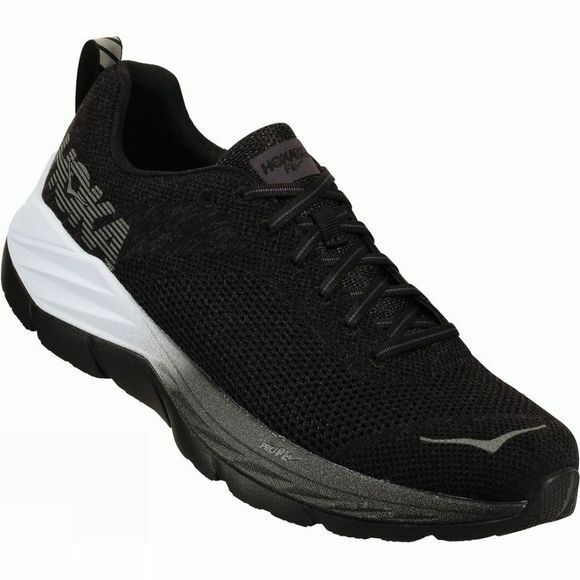 MACH stands out further from the pack with its sporty, clean, breathable mesh upper. HOKA ONE ONE (Maori for “time to fly”) came to be on top of a mountain in New Zealand, with the descent in mind. Their philosophy is simple: make running downhill easier on the body by rethinking the nature of running shoes. 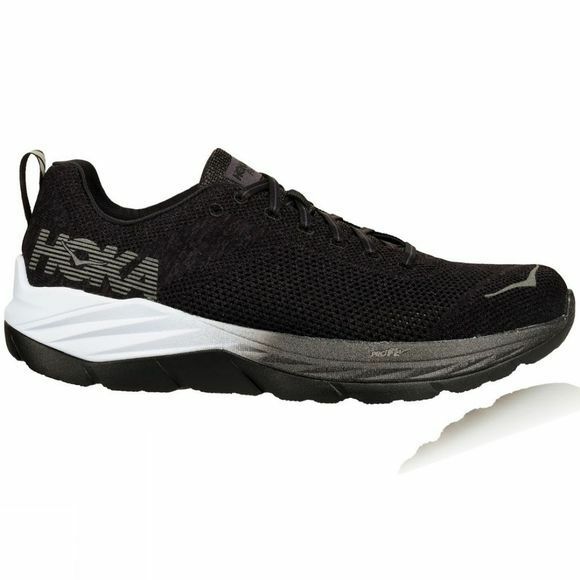 And it was in the pursuit of this that HOKA’s signature, hyper-cushioned footwear was born, featuring patented performance midsole geometry with a higher volume, softer density, and greater rebound than standard running shoes. This unique technology, along with a ‘rolling rocker’ design to promote consistent rhythm, has helped make HOKA the fastest growing premium running shoe in the world, and first choice for joggers and elite athletes alike.